A Guide for Your Day Trip to Washington, D.C.
Are you trying to plan a day trip to Washington, D.C.? Look no further than our guide to having an amazing day in the nation’s capital! Whether you’re bringing the family, traveling with a group, or going with a date, there are activities for everyone! Arcadia Run is located less than an hour from Washington, D.C, so start exploring today! Plan: Planning ahead is a very important part of moving. The further in advance you plan, the less money you will spend. Often times, waiting until move-in day to plan will result in things going wrong and last minute expenses popping up. Make sure to shop around to get the best deal! Seasonal: If you can help it, try and move during the winter because it is the slowest season for moving. Often times, there are hidden deals and discounts that appear during this season to entice people to use moving services. Disassemble: If you put all of your furniture together, why not take it apart again? Most furniture is easier to transport when it is in pieces, and if you are not using a moving truck, it may just fit in your car! Because you already put it together once, it will be much easier the second time around. Declutter: While you are moving into your new apartment home, you should probably go through all of those memorabilia boxes from high school. 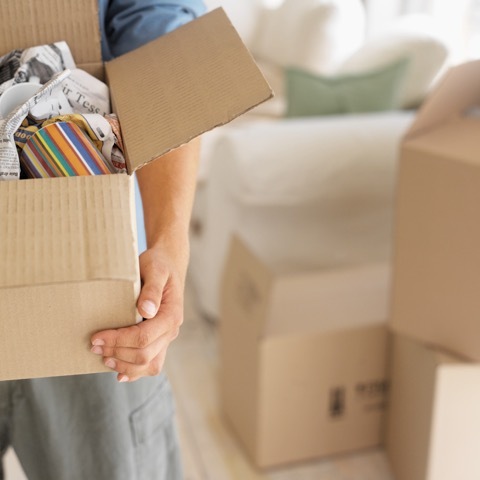 Moving is a great time to get rid of everything you don’t need or want anymore, and it will save you money come move-in time. Free boxes: The Internet is a wonderful thing, especially when you are moving! There are plenty of websites where you can search for people who are getting rid of free boxes so you don’t have to buy and assemble new ones. DIY: If you think you can move into your new apartment home by yourself, then by all means go for it! Borrow a friend’s pickup truck, or just make multiple trips back and forth. Moving on your own terms will also create a less stressful moving experience!